A brave police officer who arrested two armed robbers on Wednesday afternoon in Westlands has spoken out. 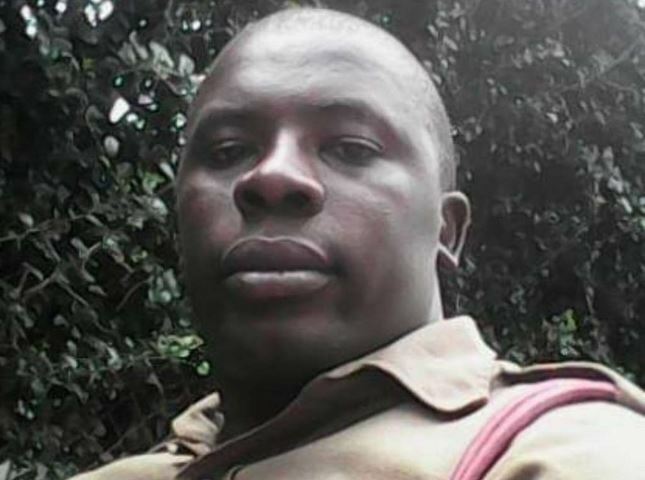 AP Constable Joash Ombati engaged the robbers in a car chase after they had robbed their victim and thrown him out of their fleeing vehicle. Ombati was also able to recover Sh400,000 that had been stolen from the victim. “I’m happy because I helped a Kenyan…This is a blessing to me. Whenever I do such deeds I feel very satisfied. What if the thieves stole from this man?” Ombati posed. Recalling the incident to the Star, Ombati said being a great public servant to the people is one of his prayer points. “If I could have ignored the thieves, then it means that I’m being paid to do zero work? In that case, I should just leave my work and go home and look after cows,” he was quoted. The 34-year-old AP officer said his wife Judith Kerubo was shocked when she learnt of the ordeal. “I have a wife and two girls. My wife was shocked yesterday but now she is fine… they depend on me for everything. What if these people killed me? My family could have despaired,” he said. On the events of Wednesday, Ombati said at around 1340 hours, he saw a man being thrown out of a moving Toyota shouting “wezi wezi” (Thieves! Thieves!). At the time, he was patrolling behind Villa Rosa Kempinsky and was standing by the roadside waiting to cross over to a hotel for lunch when the incident occurred. The officer said he cocked his firearm and ordered the driver to stop but he defied and continued speeding away. “There was a taxi where I was standing. The driver told me the men are thieves and we needed to chase them. I entered the taxi and we gave chase,” he said. He said as they trailed the suspects’ vehicle, he shot at its tyres, deflating them. The vehicle, however, went through Museum Road and followed the Parklands police station route. As Ombati trailed the car, he fired in the air to alert fellow officers at the station. “I did not have time to get into the station to ask for back up. When the vehicle reached Mpaka Road, it hit a huge rock and stopped,” he said. “I shot the window until the occupants of the vehicle surrendered,” Ombati said. The cop said he then ordered the men to lie down on the ground as a crowd began gathering. “A boda boda rider opened the front door and took the stolen money, but I went after him and recovered it,” he said. Ombati said he did not have time to count the money. “Later, police from the station arrested the two suspects Sameer Abdulaziz Kassim and Peter Kavoi Musili. We realised the money was Sh400,000,” he said. He added that the robbery victim, Amos Charo, reported that he had Sh732,000. 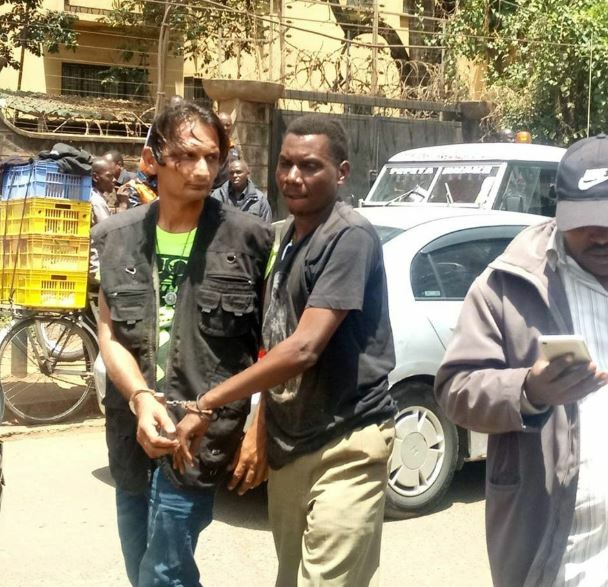 He had come from Voi to Nairobi with the intention of buying cheap construction material from people he interacted with on online purchasing platform OLX. Charo added that the suspects took him to Westlands to meet a man only named as Patel. “They then took the money and threw him out of the vehicle and drove off near NIC bank,” reads the police statement. 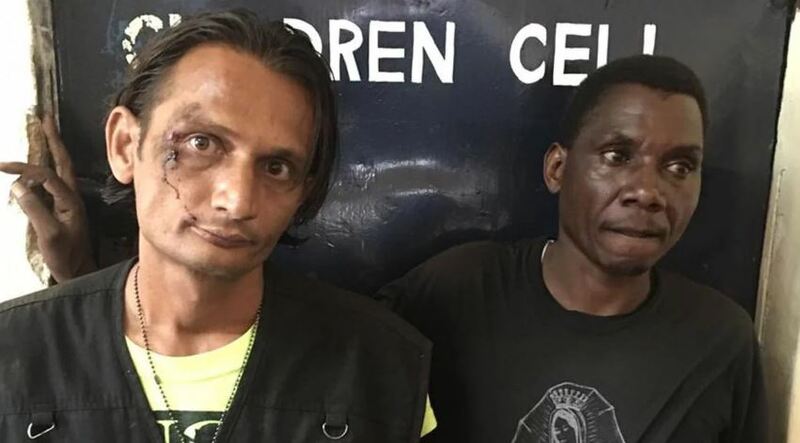 The suspects, identified as Sameer Abdulazziz Kasam and Peter Kavoi Musili, were detained at Parklands police station and will face robbery with violence charges.